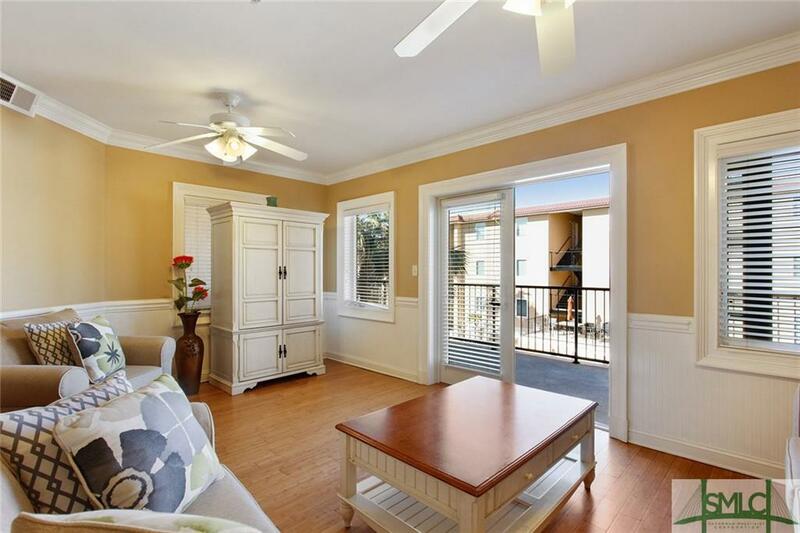 Luxury 2nd floor condominium on Tybee Island's highly-desired south end. Steps to the beach, pier and pavilion. Conveniently located within walking distance to restaurants, shopping and entertainment. This stunning condo has gorgeous hardwood floors throughout, stainless appliances, and a spacious master suite. Large balcony overlooks the pool and hot tub. Views of the ocean from the back. Private gated entrance, underground parking, and an elevator that takes you right to your door! Great as a vacation rental as well. Listing courtesy of Jenifer Suarez of Century 21 Solomon Properties. © 2019 Savannah Multi-List Corporation. All rights reserved.